Smart Enterprise, under PLDT SME Nation, has unveiled its latest initiative to empower the new breed of Filipino entrepreneurs. The Bozz Awards is a social media crowdsourcing search for the new generation of entrepreneurs who are harnessing digital tools to grow their businesses. These entrepreneurs are known for spearheading a revolutionary change in business platforms through their use of technology. In partnership with Rappler, a pioneer in embracing online platforms for news generation and distribution, the Bozz Awards hopes to inspire more entrepreneurs with success stories of those who have boldly embraced the challenges and opportunities of the digital era. Rappler will house the main site for the Bozz Awards, and will facilitate the crowd sourcing aspect of the campaign which will carry the online handle #BeTheBoss. The Bozz Awards is part of the line-up of activities for PLDT SME Nation’s recently launched Small Business Month celebration which is a pioneering initiative aimed at empowering small businesses to embrace the digital revolution. 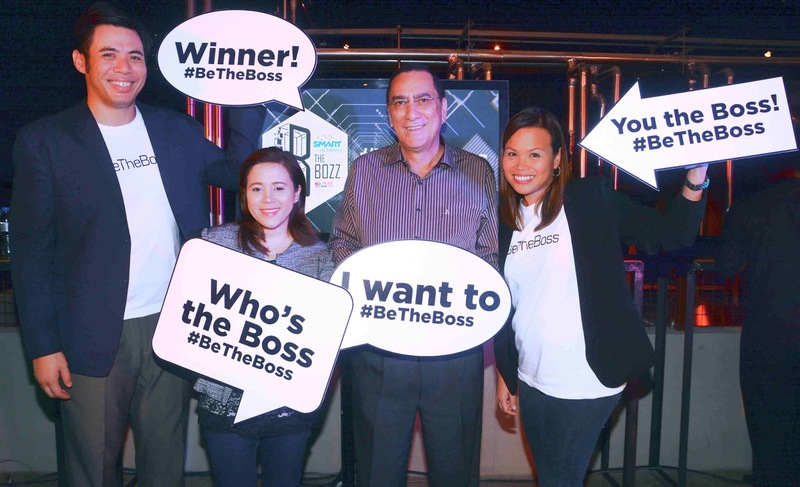 To qualify for the Bozz Awards, entrepreneurs must be 45 years old and below, based in the Philippines, and must be business owners for at least two years. Nominations, which will officially open on August 10, must be done online via the microsite on Rappler. Those who want to nominate their own bozz can also ‘Tweet-pitch’ a 140-character nomination using the hash tag #BeTheBoss. More details will also be announced on August 10 via the official Bozz Awards site. A shortlist of 15 nominees will be chosen by a panel of judges with three each under five categories—The Boss for Mobile Readiness, The Boss For E-commerce, The Boss for Social Media, The Boss for Customer Service, and The Boss for Social Responsibility and Entrepreneurship. The public will then have a chance to cast their votes and these votes, together with the results of the panel deliberation, will determine the final five Bozz Awardees (one from each category). The finalists will be honored in a grand celebration and post-awards culmination party to mark the end of the first ever run of the Bozz Awards. The first batch of Bozz awardees will each receive a full-powered Smart Enterprise Biz Kit which consists of business-enhancing tools and gadgets, including year-long data subscription, to help keep them always connected to their customers and updated with their operations, even while on the go. As a fitting tribute to game-changing entrepreneurs who are leading the digital revolution in business, the final five Bozz awardees will also be given a once-in-a-lifetime opportunity to see the world’s melting pot of technology via an exclusive Silicon Valley tour. What is Republic Act (RA) No. 10175 or Cybercrime Prevention Act of 2012?